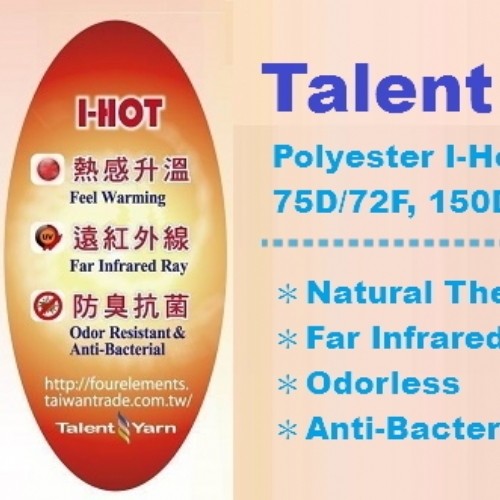 *It may release negative ions,infrared ray…with healthy and warming function. 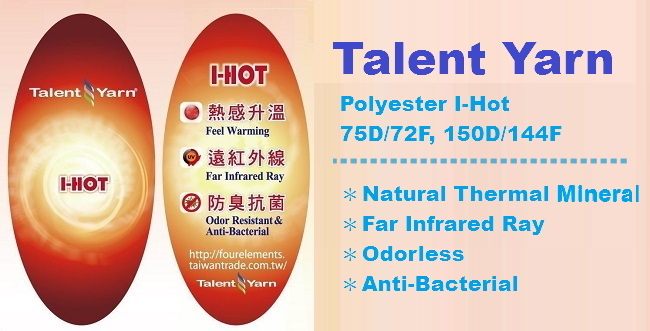 *By the touch of body humidity, it inspires the heating of thermal element to keep body warm and increase the oxygen content. 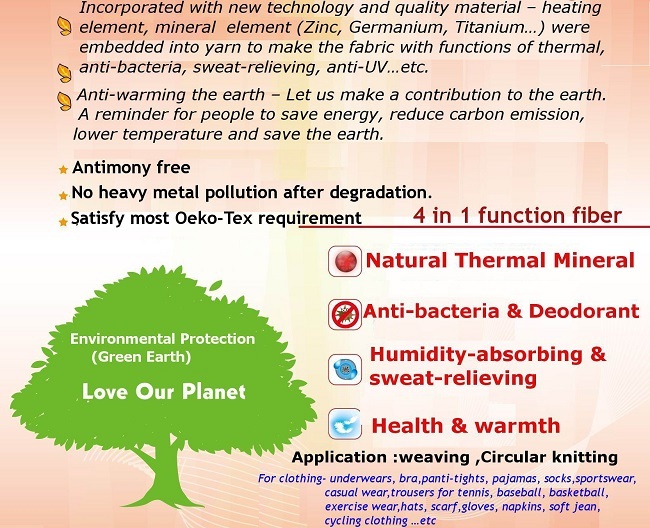 *Achieve excellent absorbing and relieving effect to discharge sweat promptly and make skin fresh and dry. 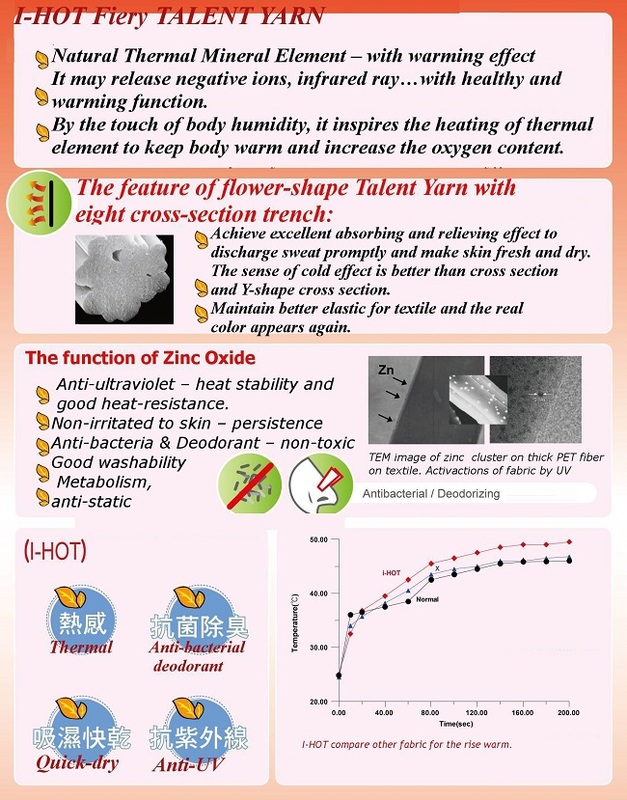 *The sense of cold effect is better than cross section and Y-shape cross section. 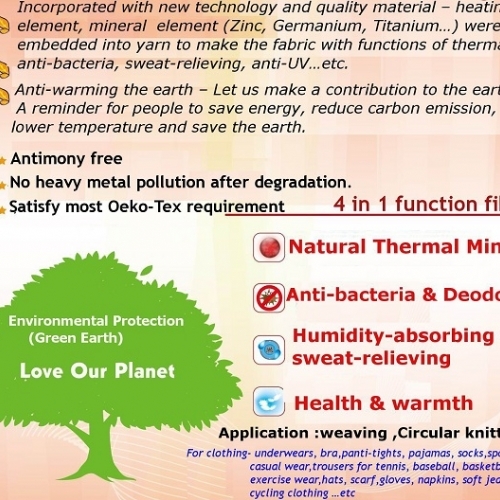 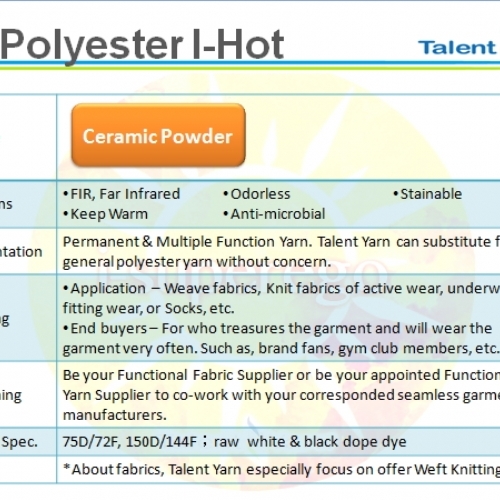 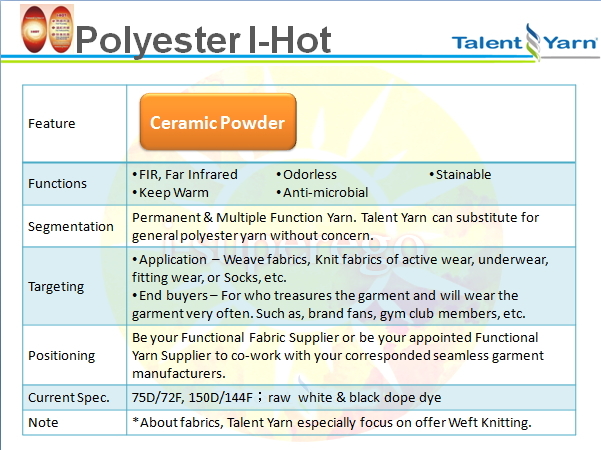 *Maintain better elastic for textile and the real color appears again. 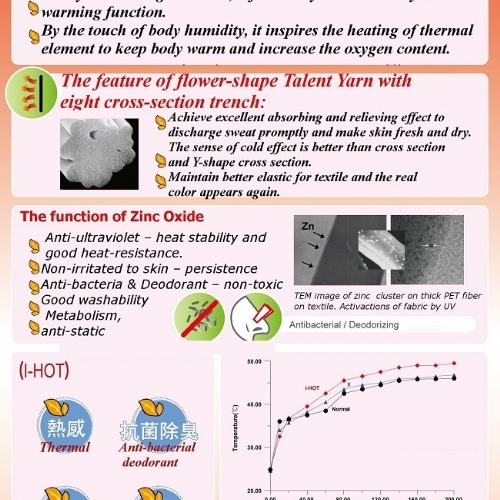 *Anti-ultraviolet – heat stability and good heat-resistance.